The creative minakari work has been interspersed with glistering white beads that enhance the beauty and appearance of the bangle that is accessible in a very single commonplace size. Perfect to depict a million dollar charm! 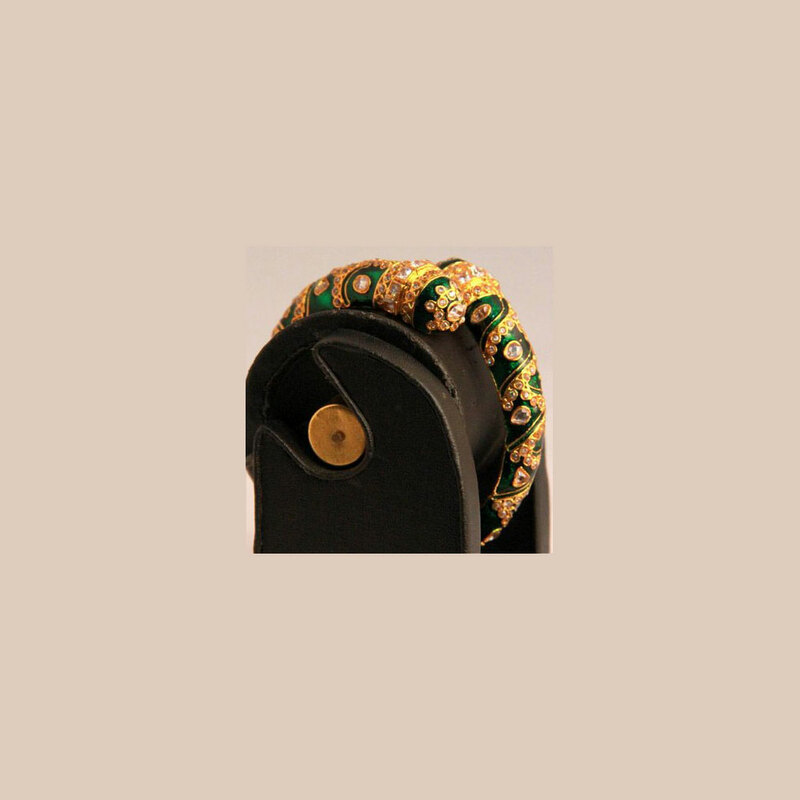 The gold plated brass metals twisted around the green base of this designer bangle adds to its royal Read More..appeal. The artistic minakari work has been interspersed with glittering white beads that enhance the overall beauty and look of the bangle which is available in a single standard size. Show Less..